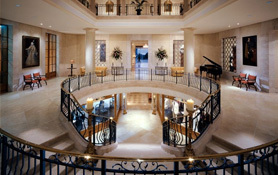 This luxurious and exclusive hotel overlooks the Mediterranean Sea and has a super sleek 16th and 17th century design. The Maricel is located in a quiet and residential area of the island only five minutes from the capital Palma and the exclusive harbour Puerto Portals. 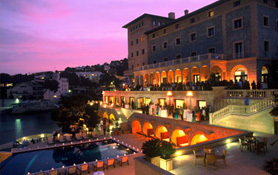 The majestic and elegant hotel is the prime location high above Palma de Majorca in the renowned estate of Son Vida. Enjoy the unique experience of traditional luxury with a cutting-edge flair. The fully equipped five-star hotel offers a modern convention centre with the latest technology. This exclusive four star hotel is a luxurious spa and wellness resort located just 500 meters from the popular Puerto de Andratx. The Mon Port is equipped with the latest technology making it an ideal location for intensive language training in Mallorca. 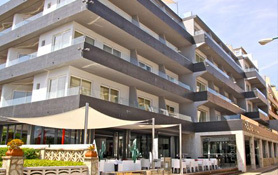 The OD Hotel Puerto Portals is a minimalist design hotel located near the marina and the famous boulevard of Portals. The four star hotel has spacious conference rooms providing the latest audio visual equipment making it a perfect venue for language courses. 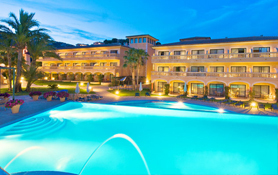 The Hotel Cuba is located in the popular area of Santa Catalina and right next to the marina of Palma. 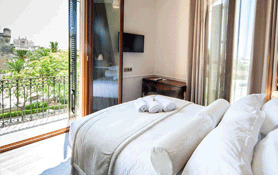 Overlooking the old town and the cathedral of Palma, this exquisitely designed hotel offers the perfect environment for our highly effective language courses. 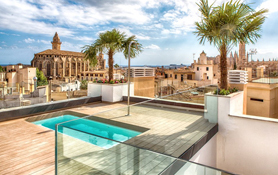 The Palma Suites Aparthotel is a very modern and functional accomodation located directly in the heart of the old town of Palma de Mallorca. This lavish hotel convinces with its modern, tasteful decor and stylish furniture making it a perfect venue for weekly language seminars. 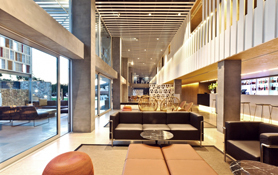 The Nautic hotel is a modern urban and minimalist style accommodation. It is set on the first beach line opposite the yacht club of Can Pastilla. The Hotel offers a large air conditioned conference room equipped with a selection of modern audio visual aids ideal for intensive language trainings. 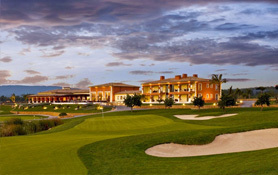 Son Gual is a golfing haven of peace and tranquility set in an intimate environment. Situated just a quarter of an hour from the airport of Palma, it is one of the most exclusive venues in southern Europe. Its well equipped training rooms offer a perfect ambience for extended language courses.